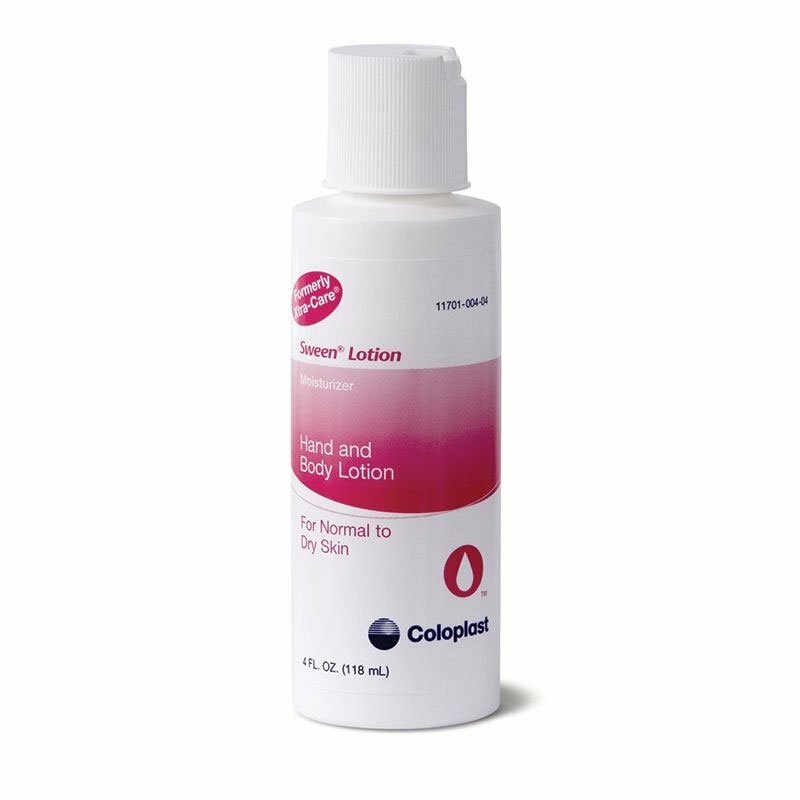 Coloplast Moisturizing Sween Lotion 4oz 0406. Sween Lotion Moisturizing Cream contains Vitamin E to revitalize and soothe rough, dry skin. This non-occlusive Sween lotion helps keep skin healthy. Use daily to maintain moisturization. Sween Lotion is also an excellent massage lubricant. Sween Lotion Moisturizing Cream contains Vitamin E to revitalize and soothe rough, dry skin. This non-occlusive Sween lotion helps keep skin healthy. Use daily to maintain moisturization. Sween Lotion is also an excellent massage lubricant.